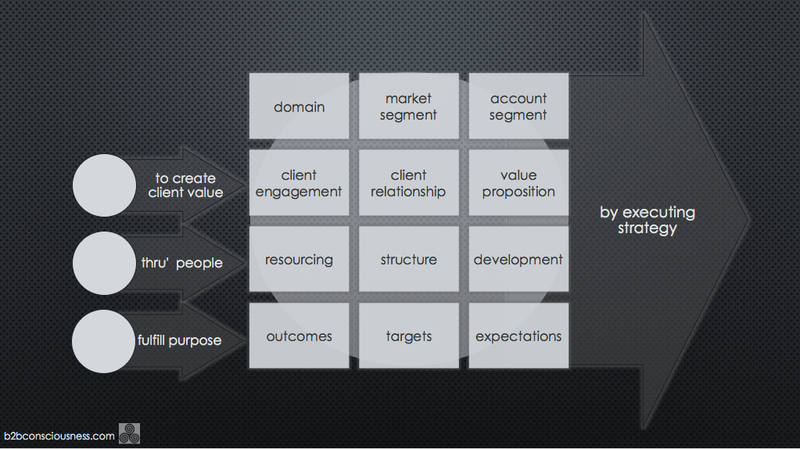 There is a value gap between what clients expect from your solutions, product or services and their experience. 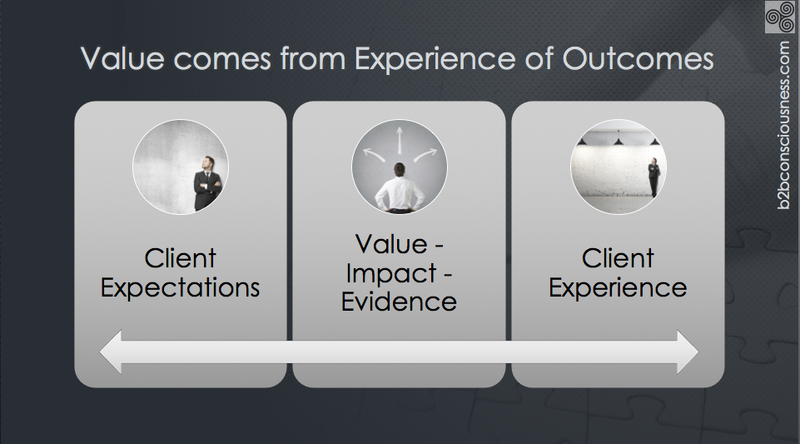 Although clients expectations change over time, your business-to-business strategy has to align with the client’s expectations in a way that their experience is linked to outcomes – outcomes that deliver on value with impact and evidence. A business-to-business framework, as indicated, allows value to be created for your clients through your people in order to fulfill a mutually beneficial purpose by executing on a well-articulated strategy.